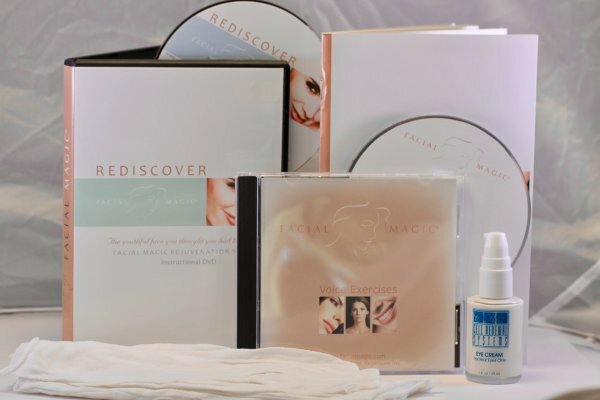 The onDemand Facial Magic Starter Kit provides everything you need to successfully give yourself the look of a facelift – a natural facelift using all natural, proven isometric exercises. Without surgery, drugs or anything harmful or invasive, you can easily follow the step-by-step instructions to look 5, 10, even 15 years younger in just weeks. This digital, onDemand kit allows you to access your program via any internet enabled device. The Starter Kit includes the digital DVD training video, digital 64 page Success Booklet and digital audio Training CD for finger placement and cadence. Separately, 6 pair of exercise gloves and one one ounce jar of Cell Renewal Eye Treatment will be forwarded immediately.